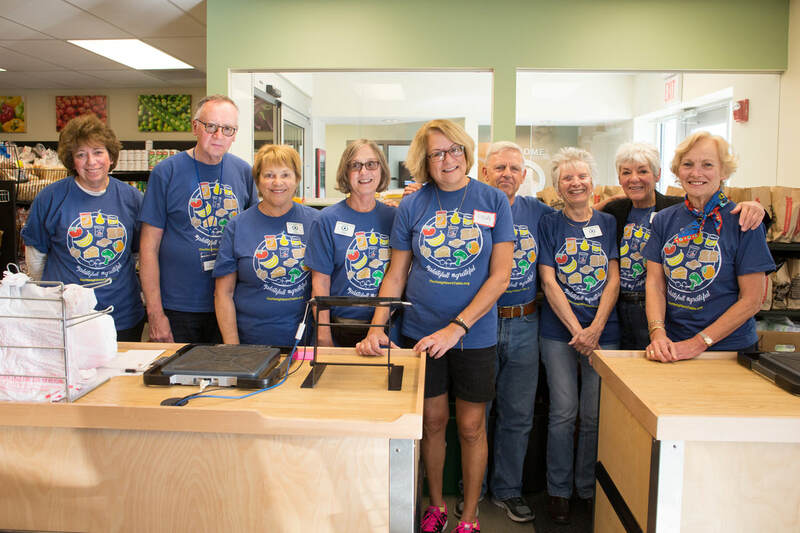 Each week, hundreds of volunteers donate their time and talents to help Our Neighbors' Table in the fight against hunger. 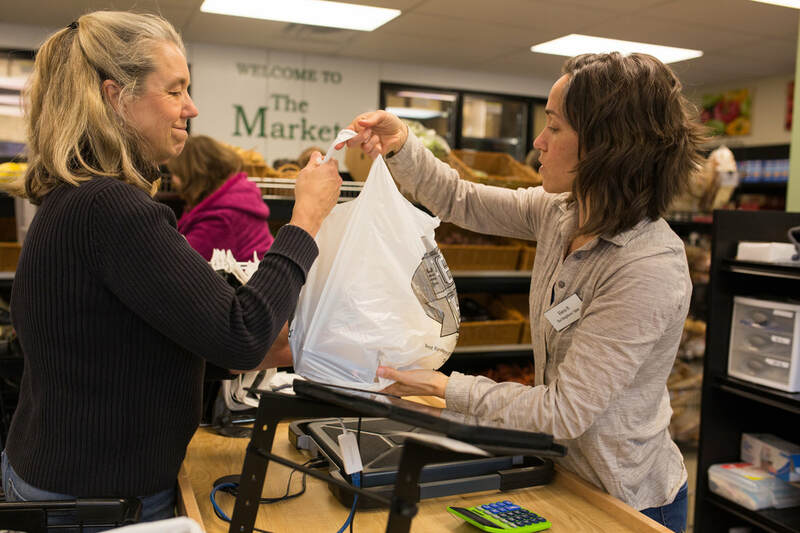 From preparing and serving the Wednesday Meal, assisting guests in our food market, or helping behind the scenes, Our Neighbors' Table offers a variety of volunteer opportunities. 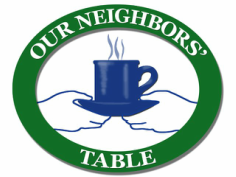 Volunteering at Our Neighbors' Table is simple and FUN! Our volunteers not only feel good about making a difference, but they also meet great people and have a good time doing it. All we ask is that you come wearing comfortable shoes and have an open mind and caring heart. Ready to get started? Fill out our volunteer application today! All volunteers will be required to attend a one hour volunteer orientation session prior to being scheduled for a volunteer shift. Have questions? Email us! Fill out your volunteer application today! Due to health and safety guidelines, our Meal and Pantry programs have minimum age requirement of 15 years. We do allow volunteers under 15 for some jobs if they are accompanied by a responsible adult. We offer special family friendly projects including sorting food or assembling gifts and grocery bags throughout the year for groups and families with children age 8 or up. There are lots of creative ways through which children of all ages can help Our Neighbors' Table in the fight against hunger. 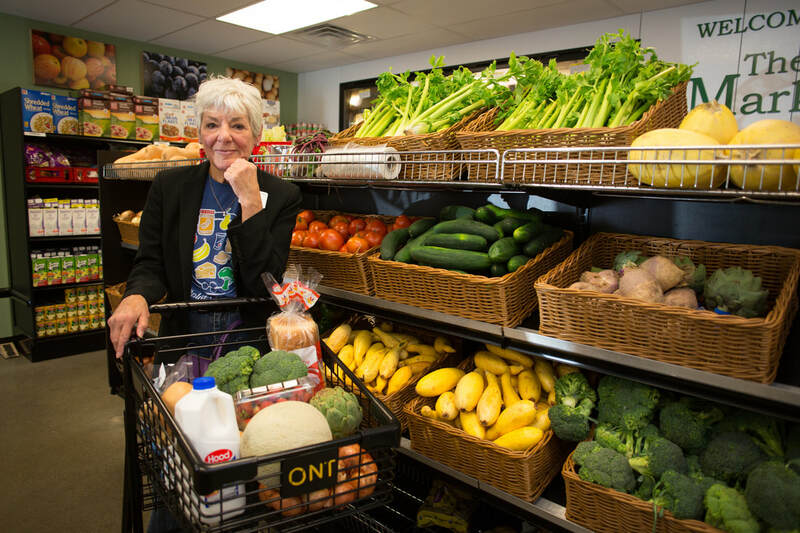 Common projects offered for groups with children age 8 years and up include: assembling Easter baskets and sorting food donated through a local food drive. how can younger children help? There are creative ways that younger children can help at home or in the classroom. They can collect food or monetary donations around their neighborhood, decorate bags used for Children's Snack Packs, or decorate placemats used for the Wednesday Meal. For children age 5-7 years, ONT offers Wee Can Help! These special slots get young kids right in the action restocking our market on Wednesday afternoons, 3:30-4:30pm. To participate in Wee Can Help, please complete the volunteer application with the parent/adult information so we can schedule you for a volunteer orientation. We ask parents to complete a volunteer orientation prior to signing up for your first shift. You and your child will be interacting with our guests and other volunteers so we want to make sure you are properly prepared. There are many opportunities for individuals and groups alike. Common group projects include serving a Wednesday Meal, assisting guests at the Market, and sorting donated food items. Will volunteering satisfy my community service requirements? Yes! Our Neighbors' Table is happy to host local students looking for community service projects to satisfy their school's graduation requirements. We encourage you to plan ahead and contact us as soon as possible as it may take you several weeks to earn enough hours. Are diversion and probation candidates able to volunteer? Absolutely. We've done a lot of work with diversion and probation candidates and are happy to track and report volunteer hours. Interested in getting involved? Contact us today.